When you’re a business owner selling a product and trying to increase sales, oftentimes the packaging you use to present your product is an afterthought. Is it really important to put effort into something that a consumer is most likely going to throw away? A Paper and Packaging Board study says yes. The research found that seven out of ten consumers stated that packaging design can sway their decision to purchase a product or not. The right packaging is another opportunity to create a positive image of your brand even before the customer holds your product in their hands. 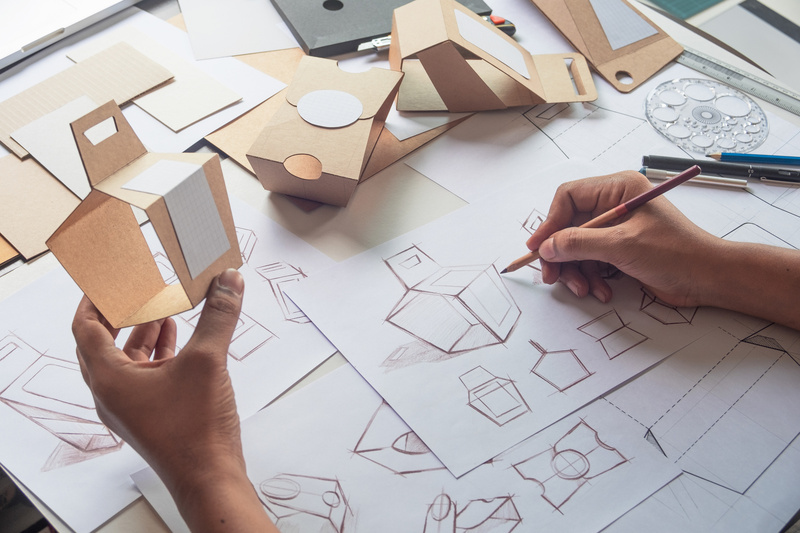 With this in mind, here are some tips to follow for good packaging design. Every iconic brand has instantly recognizable packaging. For Tiffany and Co., it’s the robin egg’s blue boxes. For Apple, it’s sleek packaging that reflects the look and feel of their products and storefronts. Of course, one company’s look won’t work for everybody. You need to know your customers’ demographics when deciding upon packaging that works. A company that sells men’s products may want to go for a masculine look while a toy company’s package design can be playful and witty. Your packaging should reflect the rest of your marketing materials and create cohesiveness with the font style, colors, messaging, and other key elements. You can incorporate your branding into other packaging elements such as wrapping paper, a tag, or a card promoting a discount for their next order or other special offer. These accessories also give you another area to list your social media channels or business’s website, and they help create a pleasurable experience when a customer unboxes their order. You can also include a welcome message with a little history about why you started your company. The seal used to hold wrapping paper in place can be customized to match your brand’s look. This clothing tag supplier gives you the option of customizing your tag’s look. The same Paper and Packaging Board study found that 71% of consumers were more likely to buy from brands that used cardboard and paper packaging. They also considered these materials to be more attractive than plastic. One of the reasons for this is because consumers will reuse this type of packaging, which makes a strong case about why package design is important. This is a chance for your company’s branding to be displayed and seen by other people long after the product has been unboxed. Good packaging for your business is important. It helps you stand out from your competition and create a relationship with your customer. Best of all, it can help you win new customers by making a great first impression. Here at Find a Business That, we love providing resources that help businesses and consumers alike. For more tips on how to promote your business, visit our marketing and promotion posts.